Placement of Implantable Cardiac Defibrillator (ICD) leads in children and some adults is challenging due to anatomical factors. As a result, novel ad hoc non-transvenous implant techniques have been employed clinically. 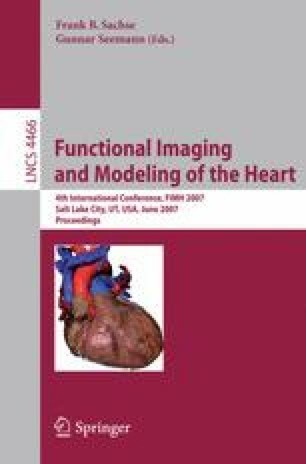 We describe an open-source subject-specific, image-based finite element modeling software environment whose long term goal is determining optimal electrode placement in special populations of adults and children Segmented image-based finite element models of two children and one adult were created from CT scans and appropriate tissue conductivities were assigned. The environment incorporates an interactive electrode placement system with a library of clinically-based, user-configurable electrodes. Finite element models are created from the electrode poses within the torsos and the resulting electric fields, current, and voltages computed and visualized.